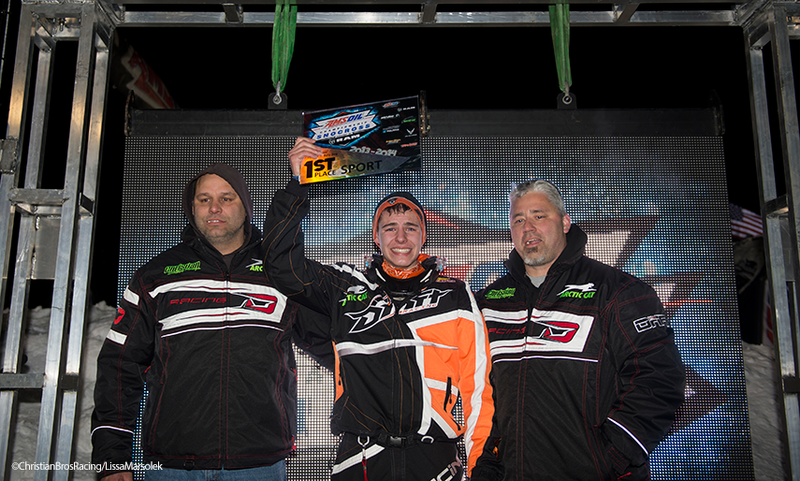 Duluth, Minn. (December 1, 2013) - Christian Brothers Racing kicked off its ISOC National Snocross season by taking two class wins at the Duluth National Snocross. 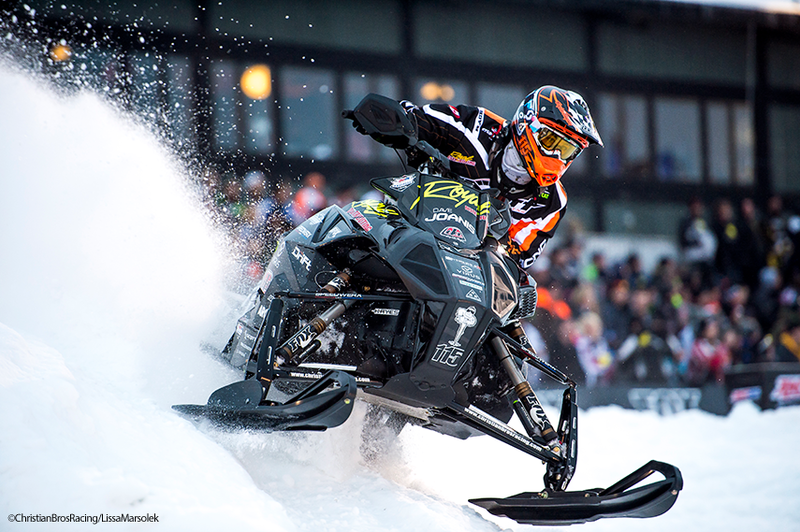 In it's twenty-second year, the Duluth National is the traditional season opener for the National Snocross series and is one of the biggest races of the season. It is the first of eight ISOC National events scheduled for the 2013-2014 season. Duluth National: Spirit Mountain in Duluth, Minnesota played host to the Duluth National Snocross, November 29-December 1. Riders competed on the longest track ever built for the race which is perched on the ski hill in front of the lodge on Spirit Mountain overlooking the Duluth harbor. Pro Open: Arctic Cat/DRIFT Racing rider Logan Christian qualified 10th for Saturday night's Pro Open final after running into trouble in one heat and winning his other heat. He finished 4th in the main, just missing a podium spot. Christian went 3-3 in heats on Sunday and again took a Top 5 spot in the main finishing 5th. Arctic Cat/Royal Distributing rider Dave Joanis made his Pro Open debut Saturday, going 3-2 in heats and placing 8th in the main. Joanis came back again Sunday with a solid ride, placing 2-3 in heats and finishing 10th in the main. 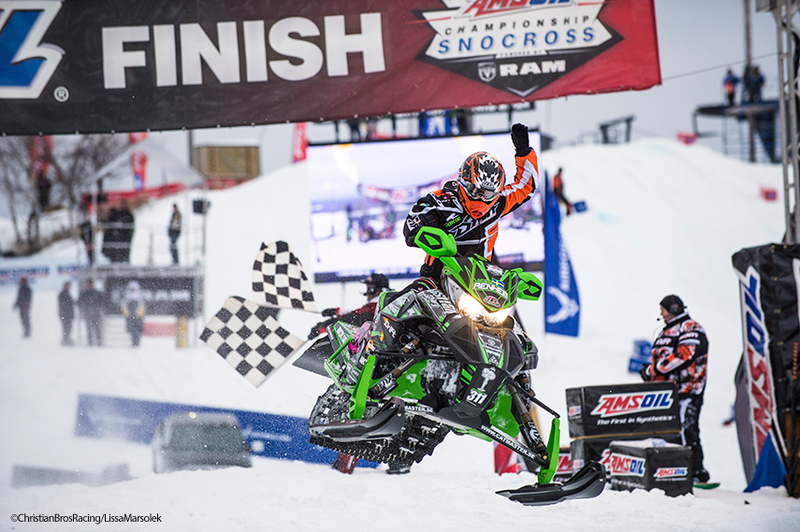 Pro Am Women: Arctic Cat/Polar Bear Boots rider Marica Renheim was revisiting the site of her first ISOC National victory - Renheim won Pro Am Women at Duluth last year. This year she went 1-2 in heats and made it two in a row, taking the win in the class. Sport: Tyler Adams battled through a huge field of Sport riders to take the win Saturday afternoon in Sport 2. Adams was near perfect in heats finishing 1-2 and he set the pace in the main on his way to his first National victory. The win backed up his Top 5 finish on Friday. Jr. Novice 10-13: Evan Christian continues to climb the class ladder in the snocross world, moving into the Jr. Novice 10-13 class. Christian transferred to the final through the LCQ and finished 7th in the main on his Arctic Cat/Finley Motors machine. 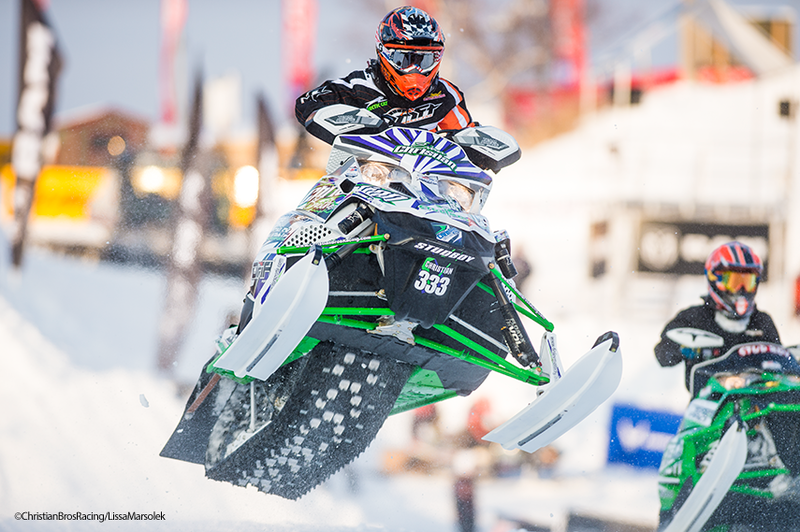 Logan Christian - Duluth was good this year - our Arctic Cat snowmobiles were working great and we had a lot of confidence all weekend. I got two Top 5 finishes and I'm leaving 4th in Pro Open points so I'm happy with my weekend. Dave Joanis - My goal for the weekend was to qualify for both Pro Open finals and I did that and got two Top 10 finishes, so I'm happy with that. 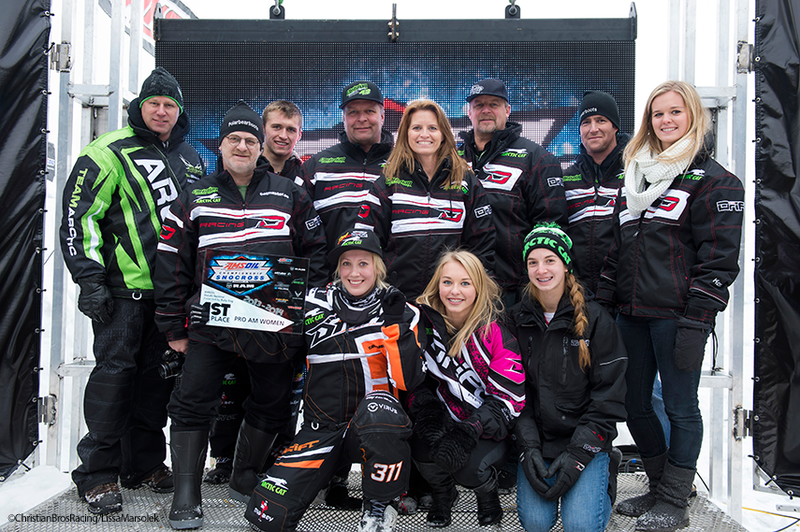 Our Arctic Cat snowmobiles worked great and the team worked hard all weekend. Marica Renheim - I won at Duluth last year and was hoping I could repeat and I did! Everything went great and I'm looking forward to putting Christian Brothers Racing at the front some more this season. Tyler Adams - My family and the team have been working so long and hard to get this win, I'm just really happy right now. I know it's a long season but this is a great start and I hope to keep it going! Dwight Christian - I'm really proud of what our team did this weekend. Duluth is only the first race and lots of things can happen, but I think we definitely showed that we are ready to compete this season.